Obesity has become a huge problem in the US and most of the modern world. Two thirds of our country is overweight or obese. 26 million people in the US have diabetes and another 79 million have pre-diabetes which could become a full blown case of diabetes soon. Politicians talk a lot about the obesity epidemic and trying to stop it, but none of them are willing to stand up to the corporations and do what needs to be done. Solving the obesity epidemic can be extremely simple and elegant. What is the problem? Junk food is really cheap and it is conveniently everywhere. Healthy food is hard to find and expensive, especially if you want organic produce or grass fed meat. To solve the problem all we need to do is make eating unhealthy too expensive while incentivizing people to eat heathy by making it cheap. The problem arrises when you try to define what is junk food. 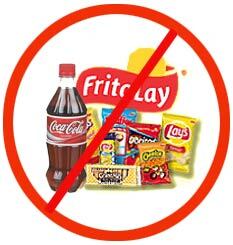 Every company will try to make their case as to why their product isn’t junk food. Cocacola will add vitamin C to their coke formula and try to pass it off as a heath drink. What I suggest is we just tax added sugar. Everyone can agree that added sugar is unhealthy and unnecessary. Soda manufacturers argue that soda alone isn’t the only cause of obesity. They are right, we need to tax the sugar in all of the candy bars, ice cream, cereal, and other processed foods. Some cities and states are already trying to tax soda. Unfortunately no one has been able to enact a soda tax because of the millions of dollars the beverage lobbyists are spending to defeat the proposed soda taxes. Most of the proposed soda taxes are 1 penny per ounce of soda. What effect will that have? Almost none except to help the state close their budget deficit. A 20 ounce soda will go from $1.25 to $1.45 and people will keep on drinking it and getting diabetes. What I propose is $.05 per gram of added sugar in all manufactured products. With my tax in place the 20 ounce of coke will increase in price from $1.25 to $4.55. With that kind of price jump people will think twice before drinking a soda. When a twelve pack of soda goes from $4 a pack to $28, a lot less soda will be drunk. So what will we do with all the excess money from taxing sugar? Subsidize vegetables and grass fed meats. I’m not talking about giving money to the farmers who make the vegetables so they can figure out how to make cheap sugar out of broccoli. I mean subsidize produce bought by customers in the grocery store. It will make eating healthy affordable to more people while making eating unhealthy unaffordable. If this tax is put in place, we will not only see less consumption of junk food, but we will also see companies lower the sugar content of the products they sell to make them more affordable. This will result in the junk food being less bad for you because the lowered sugar level. If a person is determined to eat unhealthy then no one can stop them, but at least they will pay in advance for all the damage they are doing to themselves by paying the sugar tax. What are your thoughts on a soda or sugar tax? Do you have a better plan to solve obesity? Exactly!! Eating healthy/being healthy should not be a luxury!!! I think an added sugar/sweetener is a good idea (sweetener because companies will say “Look! We use splenda! We’re healthy!”) but also a trans-fat tax. There’s a country in Europe right now that has a saturated fat tax, and while I think it’s a good idea, it’s a bit of a pain because there’s saturated fats in dairies and meat. While I’m at it, a HFCS tax might not be a bad idea either. And a GMO tax, namely because the main crops in the USA are corn and soy, they’re the main subsidized crop and I think they also add to the obesity epidemic. Get people to eat OTHER crops that are better for them. A trans-fat tax is a great idea, I think any sane person can agree that they are unhealthy. I would be against a saturated fat tax though, there are healthy saturated fats like coconut oil and ghee.